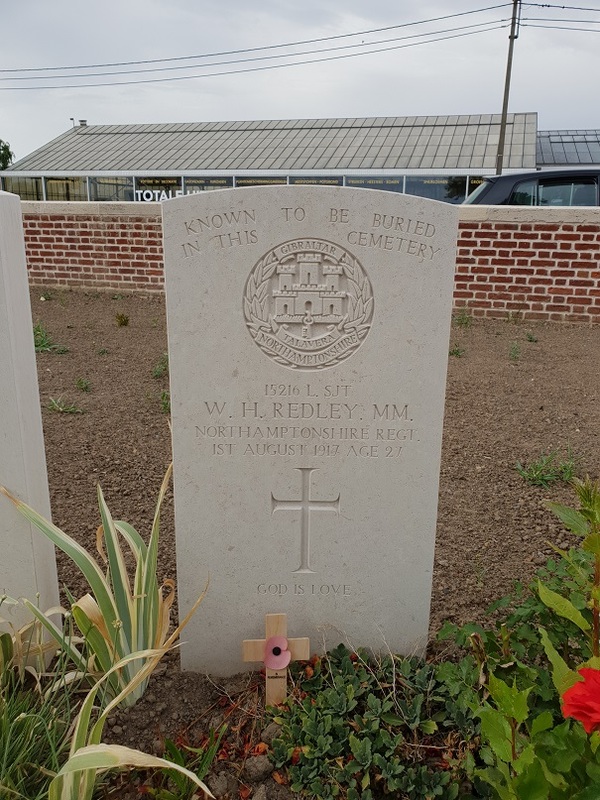 William Henry Redley was a son of Mr. and Mrs. Robert Redley, of Great Brighton, Northampton. He served with D Company. Redley was awarded the Military Medal.